Efficiently managing four to five revolving credit card balances representing exposure to unsecured credit. One mortgage loan and a car loan representing secured lending payable on installment basis, that is exceptionally well serviced. At least one regularly repaid long term loan that is effectively exceeding ten years in duration. An overall credit usage exceeding thirty years. No history of delayed payments for past seven years at a stretch. Not more than one or three credit enquiries within the last six months. Absolutely no adverse notations regarding bad debt collections or any bankruptcy proceedings to spoil the report in the eyes of creditors. Credit utilization restrained comfortably within 30% of credit card drawing limits. Every year the top three credit reporting agencies, Equifax, Experian and Trans Union consent to release one free report separately to everybody, and these reports are available for scrutiny simply by accessing annualcreditreport.com. You owe it to yourself to refer these reports at least once a year to ascertain the state of your financial health as observed from the eyes of a creditor. If the credit report spans two or more decades of your lending activity it is may not remain totally error free and perfect. Errors will abound and it will be your duty to respond and correct those errors. Common mistakes will be addresses that have not been updated, amounts that have been fully remitted but are shown as being under collection, closed accounts that are shown as being open due to non-reconciliation of transactions, and data that pertains to somebody else and not you. Any history of late payments, loan defaults, overdrawing, loan waivers and debt settlements will continue in your credit report, they cannot be erased even if debt management firms assure you they can be removed. It pays to remember that authentic information cannot be deleted, but what you can do is reform delinquent behavior and adopt creditworthy initiatives like promptness in repayment and maintain loan regularity from now onwards. Fortunately for you lenders pay more attention to your recent loan record and if that is near perfect your loan terms will improve dramatically. Learn to improve your record and stop wasting money engaging debt companies to “set right” the past. 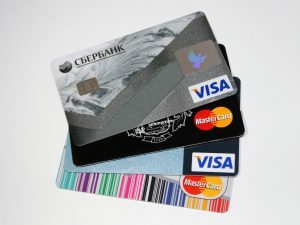 The credit card company may assign you a drawing limit of $35,000 which should not be interpreted to mean you have the capacity to repay a full balance of $35,000; it is more of an enticement to goad you into spending more and may not have anything to do with your actual financial capacity. Similarly if a banker arbitrarily fixes 30% as your maximum debt servicing capacity you ought to move one step ahead and restrict loan repayments within 15% of your income. A loan for vehicle title may yet be the ideal method of consolidating bad debts particularly credit card balances that have gotten out of control. The auto equity loan will help you mobilize at least 60% of your car’s commercial valuation, and that is useful money foe ridding yourself of bad debts that potentially mar your credit standing. The car equity loan charges an interest rate of 25% APR but loan repayments are friendlier and you will be able to close the loan in no time through adjustable repayments.